Saturday, July 4—ROCHESTER—Rochester runs for the fourth! The Pierce Hall Community Center’s (PHCC) annual Independence Day 5K walk/run, and the children’s one mile run for ages 5-15 will take place behind the Rochester School (Route 100) beginning at 9 a.m. on July 4, before the town parade. Registration ($15) begins at 8:30 a.m. There will be prizes for the winners, and t-shirts for sale. The event is in support of the historic Pierce Hall Community Center, Main Street, Rochester. For registration information, visit piercehall.org or call 802-767-3708. 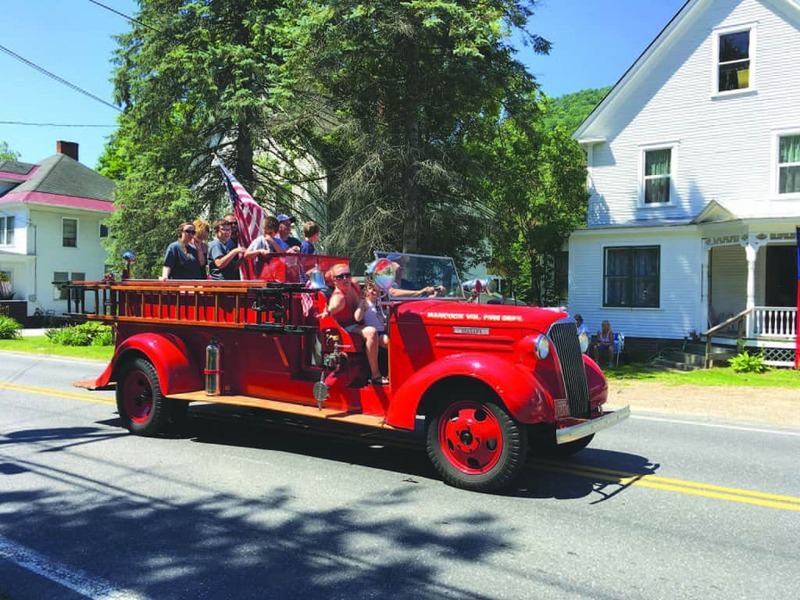 Following the race, the Rochester Town’s 4th of July parade begins at 11 a.m. Find a spot on the town green or along Route 100 heading into town to view the floats, tractors, fire engines, bike riders, horses, and other organizations that have created an entry in the “Community” theme for this year. The parade starts at the junction of routes 100 and 73, and heads north into town. After the parade, gather at the town park for a traditional reading of the Declaration of Independence. The Route 100 Lions Club will once again offer a chicken barbecue with sides. There will be kids games, live music, and visits by Smokey Bear and Woodsy Owl, and the Rochester Girl Scouts Troop 51820 will have bake sale in support of the troop. Hancock Volunteer Fire Department members ride atop an old engine, tossing candy to kids watching the Rochester parade.